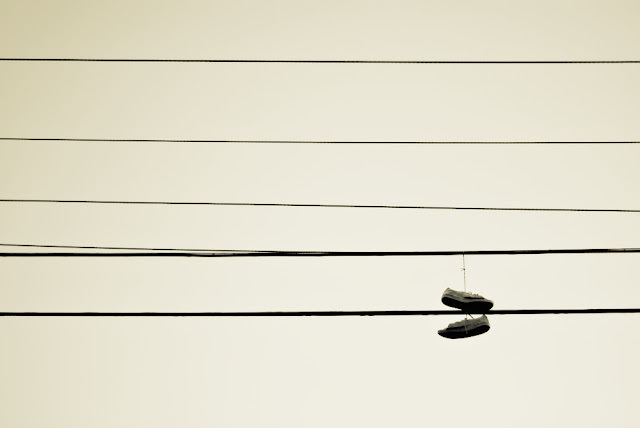 I am always fascinated when I see shoes hanging from the powerlines. Why are they there? Who put them there? How many tries did it take to get them there? Was there lots of laughing and giggling? Doesn't the owner miss their shoes?